And Burroughs, so it appears, needed L. Ron Hubbard, at least for most of the sixties, when the writer became a devout follower of the Church of Scientology. The sci-fi-inspired “new religious movement” that needs no further introduction proved irresistible in 1959 when Burroughs met John and Mary Cooke, two founding members of the church who had been trying to recruit Burroughs’ friend and frequent artistic partner Brion Gysin. “Ultimately,” writes Lee Konstantinou at io9, “it was Burroughs, not Gysin, who explored the Church that L. Ron Hubbard built. Burroughs took Scientology so seriously that he became a 'Clear' and almost became an 'Operating Thetan.'" …One does not simply pay the tuitions, obtain the materials and study. Oh no. One must JOIN. One must ‘sign up for the duration of the universe’ (Sea Org members are required to sign a billion-year contract)…. Furthermore whole categories of people are automatically excluded from training and processing and may never see Mr Hubbard’s confidential materials. The debate continued in the pages of Mayfair when Hubbard published a lengthy and blandly genial reply to Burroughs’ challenge, in an article that also contained, in an inset, a brief rebuttal from Burroughs. The debate will surely be of interest to students of the strange history of Scientology, and it should most certainly be followed by lovers of Burroughs’ work. In the process of embracing, then rejecting, the controlling movement, he compellingly articulates a need for “unimaginable extensions of awareness" to deal with the trauma of living on what he calls the "sinking ship" of planet Earth. There’s a whole book about this by David S. Wills called Scientologist! 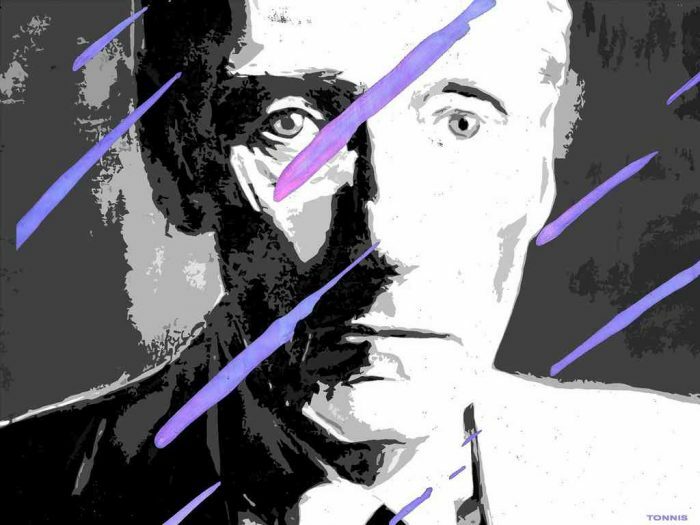 William S. Burroughs and the Weird Cult. Now what 👻 where’s T ?